The referendum of October 1st 2017 on Catalan Secession and the Unilateral Declaration of Independence in Catalonia were the culmination of the grave political and constitutional crisis in Spain started in September 11th 2012 by Catalan authorities. The referendum was both unilateral and illegal. The law on such Referendum was passed by Catalan Parliament on 6th September without any agreement with Catalan opposition parties and the Spanish government. The Constitutional Court suspended and later annulated the law. 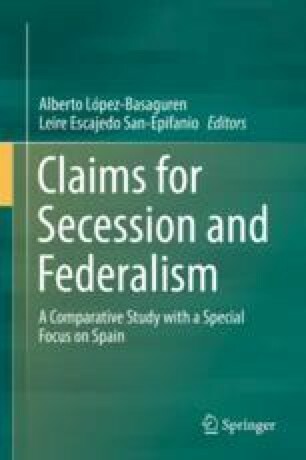 In this Chapter we refer to the contradiction of such Referendum on Secession with democratic and legal guarantees according to Spanish Constitutional, theoretical and European (Venice Commission) standards. This paper is a result of the activities of the Study Group on Democracy and Constitutionalism (GEDECO. Consolidated research group by the Catalan Government in 2014, SGR 1597, and confirmed in 2017) and of the Project funded by MINECO DER2015-68160-C3-3-P “Interaction between representation and participation in the legislative decision-making”.